The Green Star ™ series is designed to extract the maximum amount of valuable vitamins, enzymes and minerals. 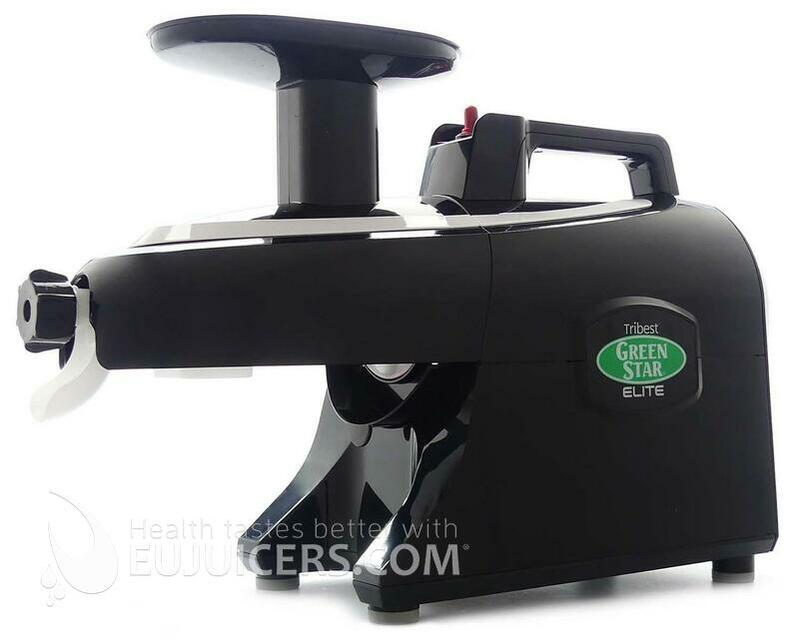 Green Star ™ juicers are ideal for many varieties of fruit and vegetables. Also fresh wheat grass and long fibrous stalks of celery can be processed in a heartbeat into valuable vital juices. Even higher juice yield. Hard to believe but the Green Star's elite has a better juice yield than the Green Star ™ or GS1000 GS 3000! New Design. The Green Star Juicer ™ Elite is not only capable of juicing divinely delicious and healthy freshly squeezed juices, it has also been redesigned into a more stylish form factor. Simplier operation. No more screws! The press roller housing is easily fixed with new locking clips and cleaning is simpler. And because cleanliness and hygeine is an important issue, a drip tray is now included - no more drops on your countertop! Reduced juice deterioriation by juicing with the powerful but slow-speed precision press augers. There is no heat coming in contact with your juice, so oxidation is basically zero. 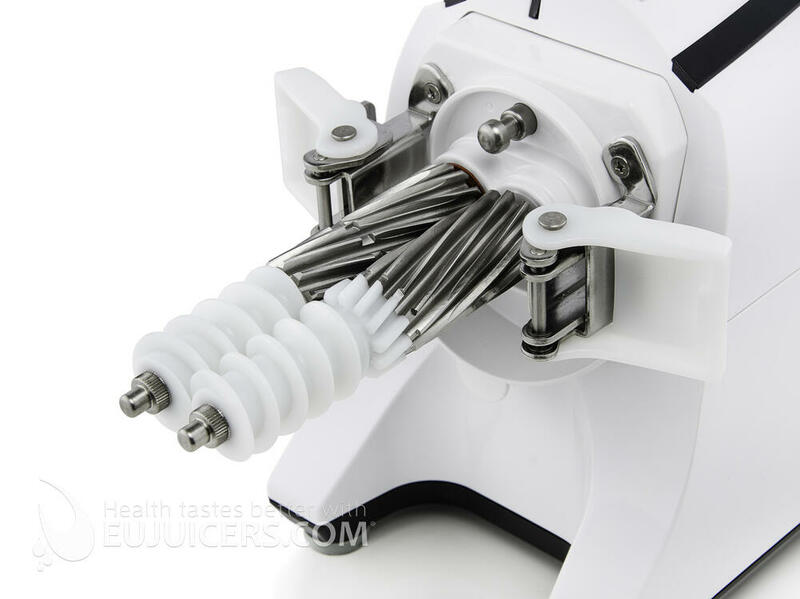 At only 110 rpm, this juicer squeezes gently and produces the healthiest juices. The highly sensitive and valuable enzymes and vitamins stay in the juice. More minerals in optimal bio availability! There are bio-magnets used inside of the twin gears of a new Green Star Elite to optimize the quality of juice. This assures not only more minerals in the juice, but simultaneously increases their bio availability. This means that your body can better absorb and utilize the dissolved vitamins and minerals. More than just a juicer: Now, even the puree of fresh or frozen fruit (sorbets) is easily made with your Green Star ™ Juicer Elite. Especially delicious confections are made from nuts and dried fruits. We have had the opportunity to properly test the Green Star Elite and are ready to share some of our experiences with you. The NEW Green Star Elite is definitely a step forward compared to the older models (GS 1000/3000). The new stylish design is the first thing you will notice. We like the new design a lot. But Tribest has done much more than just changing the design. Most important is that the new Green Star Elite has an improved juice yield as the gears are now longer and the shape has been improved. Also the juicing screens are now longer and there is also a new pusher shape. The locking clips are an improvement over the previous models. Original cleaning brush for Green Star juicers. Adjusting knob for soft fruits for Green Star Elite Juicer. Adjusting Knob for hard fruits for Green Star Elite Juicer. Adjusting Knob for Green Star Elite Juicer. Original glass juice pitcher for Green Star Juicers. Original nylon pusher for Green Star Juicer. Housing for pulp for Green Star Elite Juicer. 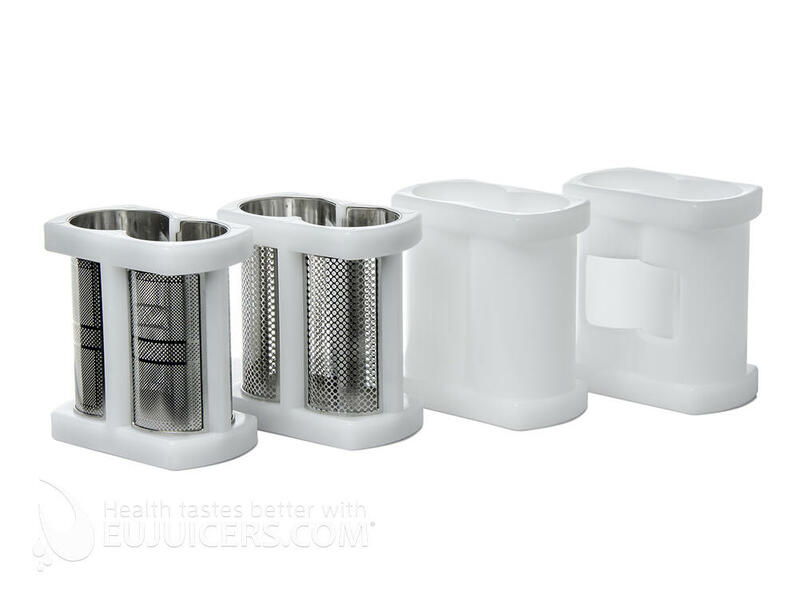 Fine juicing screen for common fruits and vegeteble (carrots, apples, citrus fruits,...). Twin Gear Housing for Green Star Juicer. Main Wheel for Green Star Elite Juicer. 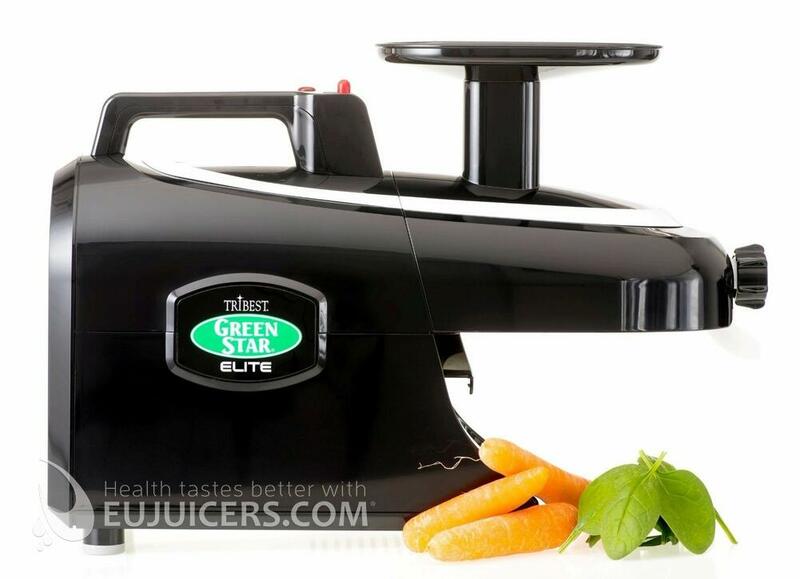 Free wheel for Green Star Elite Juicer. Twin Gear Set for Green Star Elite Juicer. 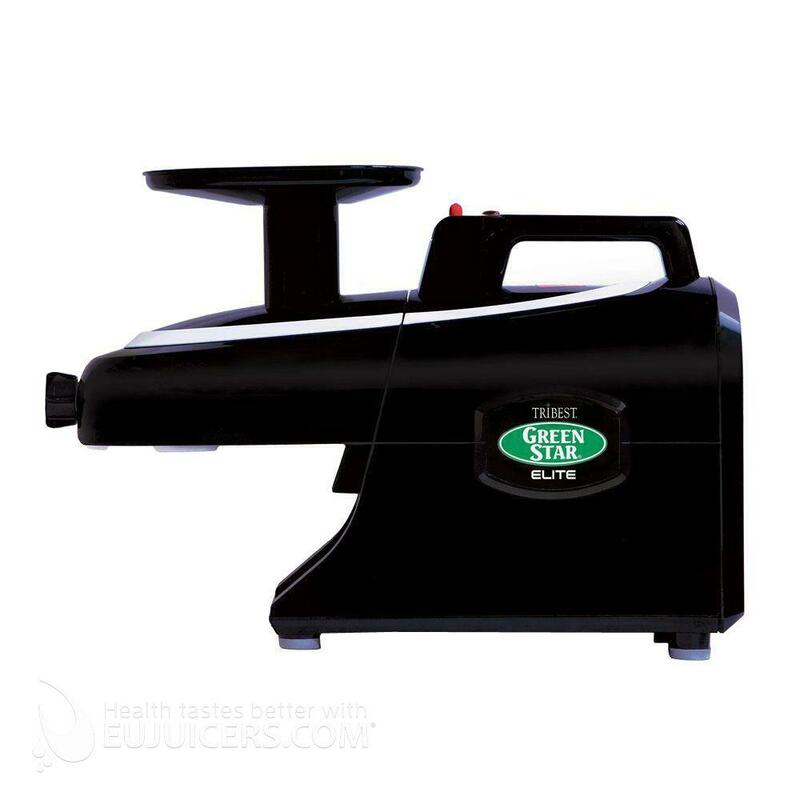 The Green Power Kempo combines twin gear juicing with high tech features. 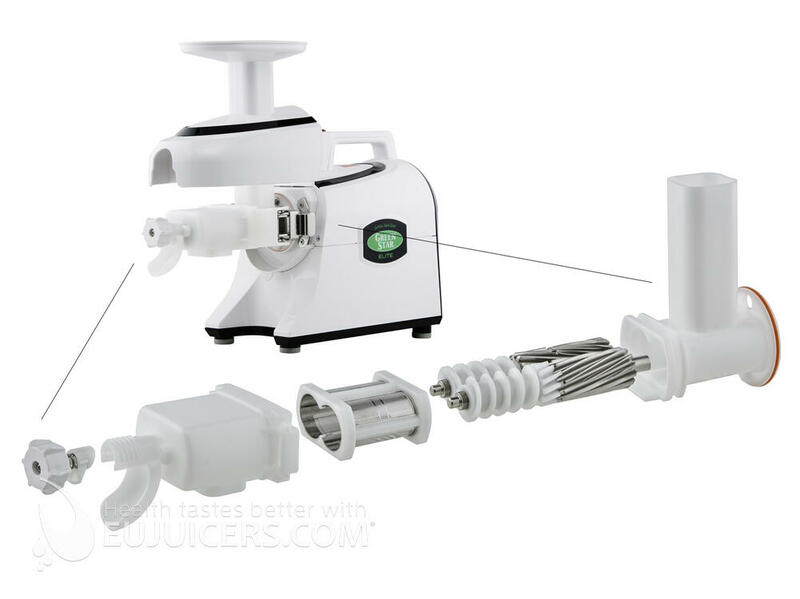 Latest model of a compact dual gear juicer with magnetic technology.